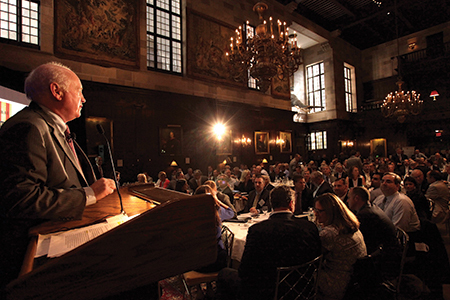 Over 225 of the most powerful and successful real estate leaders will take to New York City this September for RISMedia’s 2017 Real Estate CEO Exchange, “Growing Your Business in Unpredictable Times.” The exclusive, day-and-a-half-long event, taking place Sept. 12-13 at the prestigious Harvard Club, will share strategies for increasing business and operating a profitable company despite headwinds such as changing regulations, low inventory and student loan debt. The event will offer insight from several of the industry’s most influential leaders, including an opening address from keynote speaker Ron Peltier, chairman and CEO of HomeServices of America, Inc.; a fireside chat with John Peyton, president and CEO of Realogy Franchise Group; expertise on the power of predictive analytics from Jeremy Sicklick, co-founder and CEO of HouseCanary; risk management tactics from Katie Johnson, general counsel at the National Association of REALTORS® (NAR); and more. Running a brokerage in today’s market is no easy task. From pressure on commissions to a shortage of inventory, company dollars are being squeezed. In this session, panelists Tom Tognoli, president/CEO, Intero Real Estate; Candace Adams, president/CEO, Berkshire Hathaway HomeServices New England, New York and Westchester Properties; Pam O’Connor, president/CEO, Leading Real Estate Companies of the World®; Annie Hanna Engel, president/COO, Howard Hanna Insurance Services, Inc., chief legal officer, Hanna Holdings, Inc.; and Tom Gallagher, broker/owner, CENTURY 21 American Homes, will share what’s foremost on their minds and how they’re preparing their firms to overcome challenges. The Evolution of the Real Estate Model: Are You Adapting Fast Enough? As brokers continue to refresh and revamp the tried and true approach to the real estate business, will your firm be able to keep up and compete? In this session, find out from panelists David Tedesco, founder/managing partner/CEO, True North Companies/Realty Executives; Matt Widdows, founder/CEO, HomeSmart; Rob Lehman, chief revenue officer, Compass; Mark Stark, broker/owner/CEO, Berkshire Hathaway HomeServices Arizona/California/Nevada Properties; Errol Samuelson, chief industry development officer, Zillow Group; and Richard “Rick” Haase, president, Latter & Blum, Inc., how and why some firms are succeeding with a new approach to the standard real estate model, and whether or not your firm is at risk of being disrupted. Your top producers are your prized commodity but is loyalty the end game? Are your retention efforts working and worth the investment? In this session, hear from panelists Neil Cresswell, co-founder/president, Sellstate Realty Systems; Michael Mahon, president, First Team Real Estate; Penny Nathan, co-founder/president/CEO, Ascent Real Estate; Richard “Dicky” Mopper, broker/owner, Engel & Völkers Savannah; and Felicia Hengle, president, Ohio Operations, Coldwell Banker Schmidt Family of Companies, who are recruiting and maximizing their agent force to ensure profitability for all. RISMedia will also be hosting a new networking opportunity for attendees: the CEO Exchange Welcome Dinner, a three-and-a-half-hour sunset tour around Lower Manhattan aboard the elite, private yacht Atlantica. Don’t miss this unforgettable experience with unparalleled views of New York City! RISMedia’s Real Estate CEO Exchange is by exclusive invitation only. For more information, please contact Randi Vannucchi, randiv@rismedia.com or (203) 523-3754.